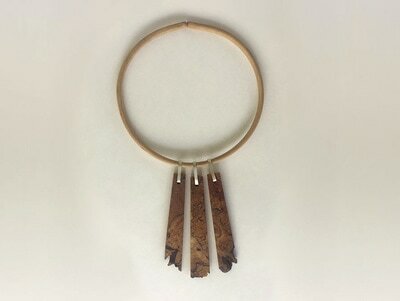 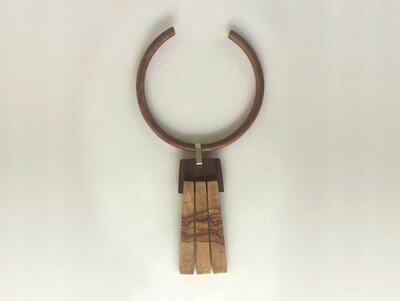 Wood to Wear allows me to use wood in unique ways. 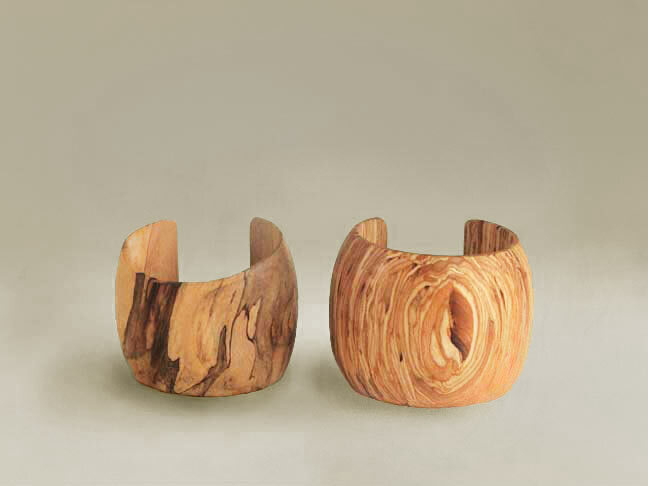 With its infinite variety of color and texture and pattern, wood can be used like a precious metal, stone or jewel. I can form the wood to highlight special grain; woods of different colors and textures can be combined with each other and with silver or other materials. 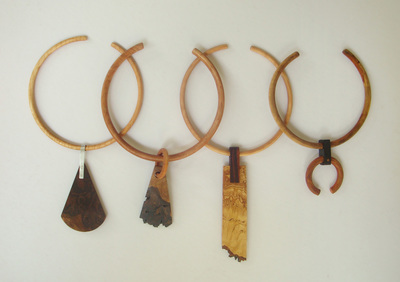 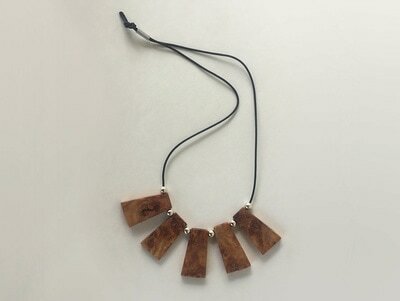 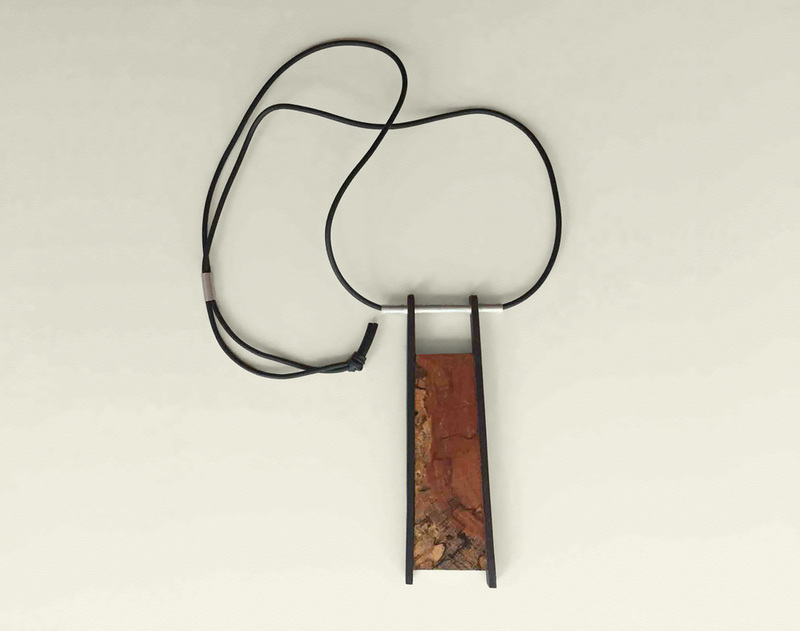 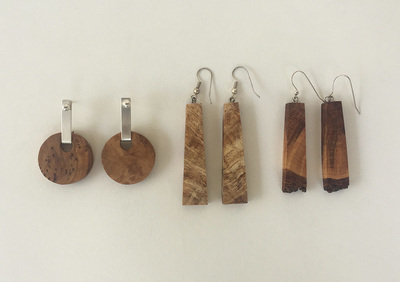 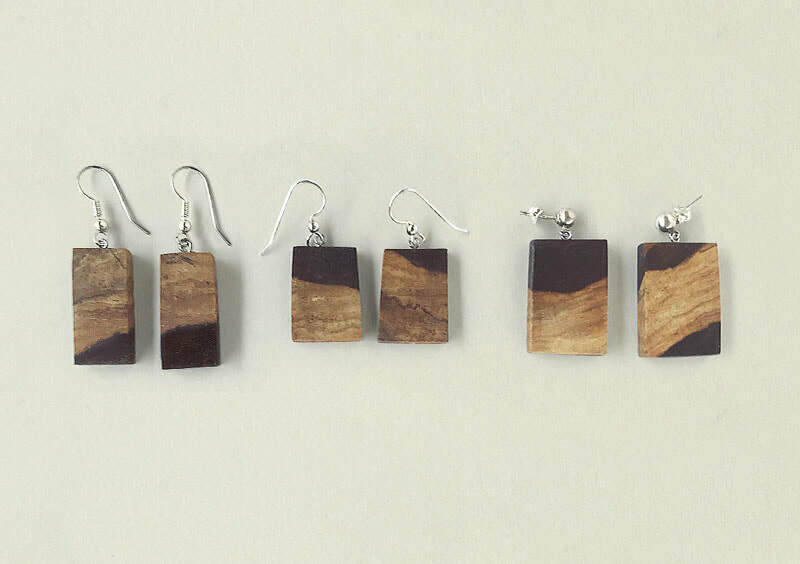 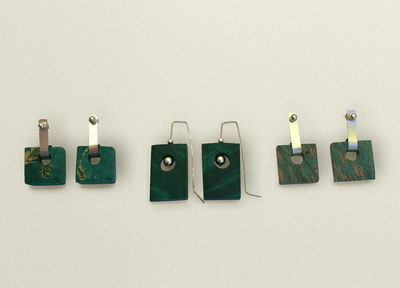 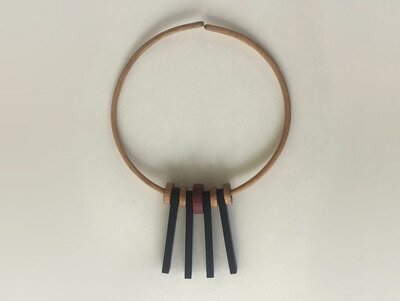 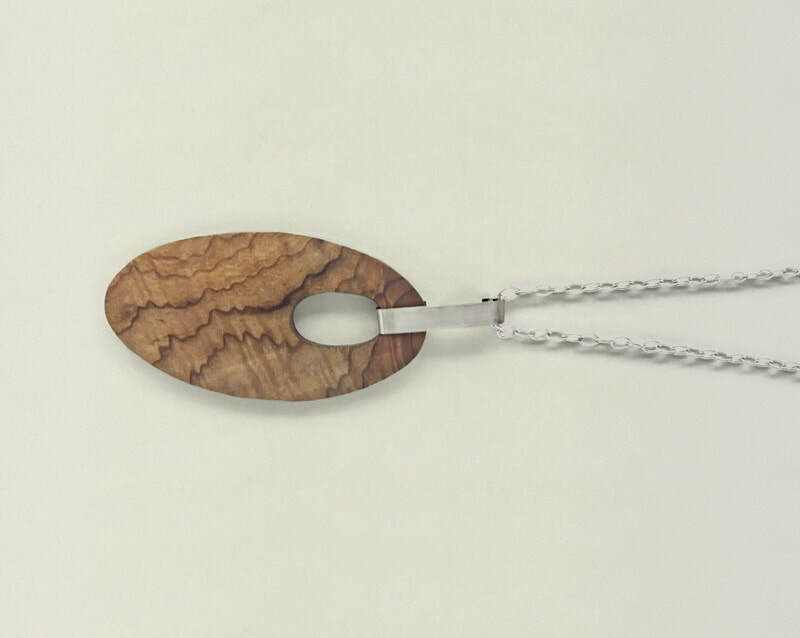 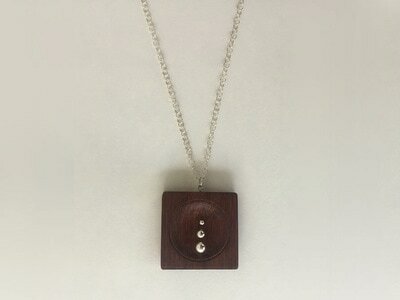 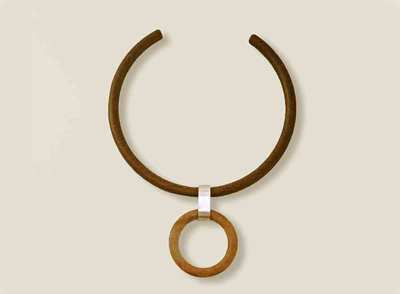 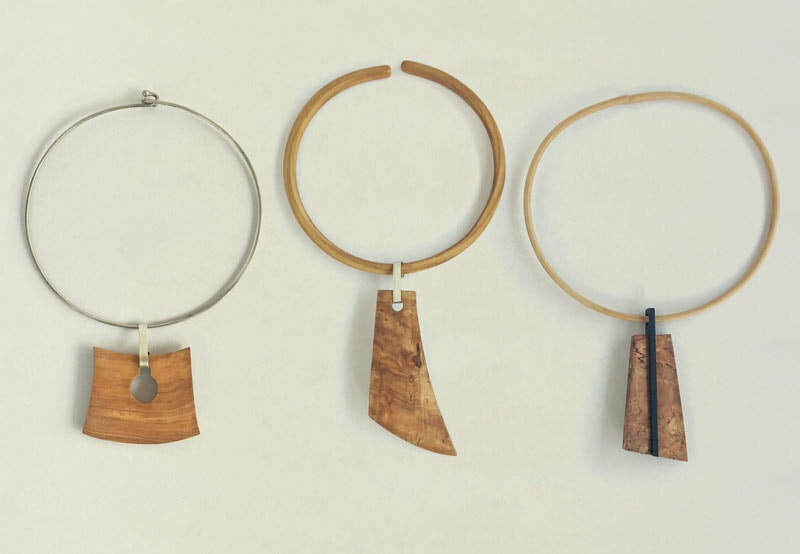 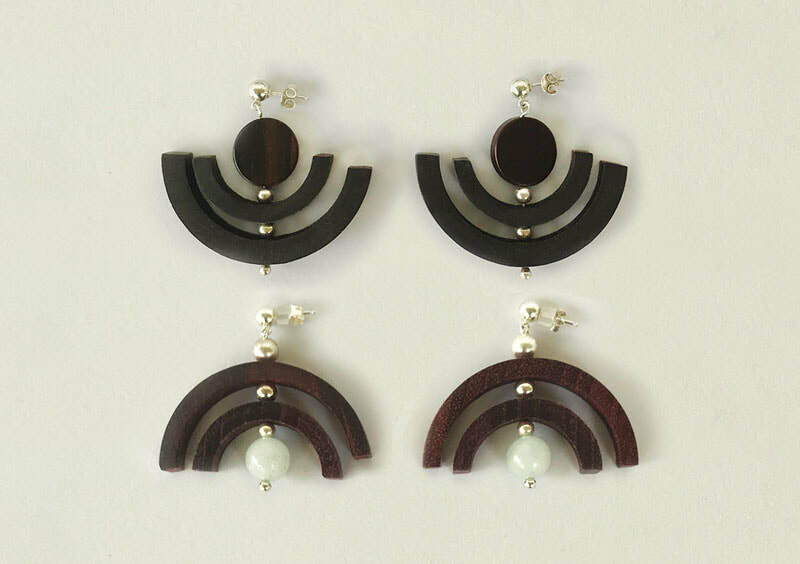 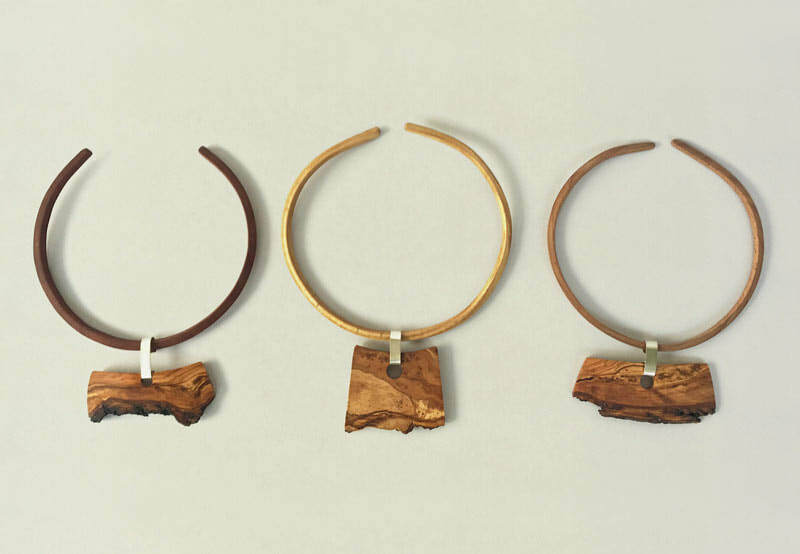 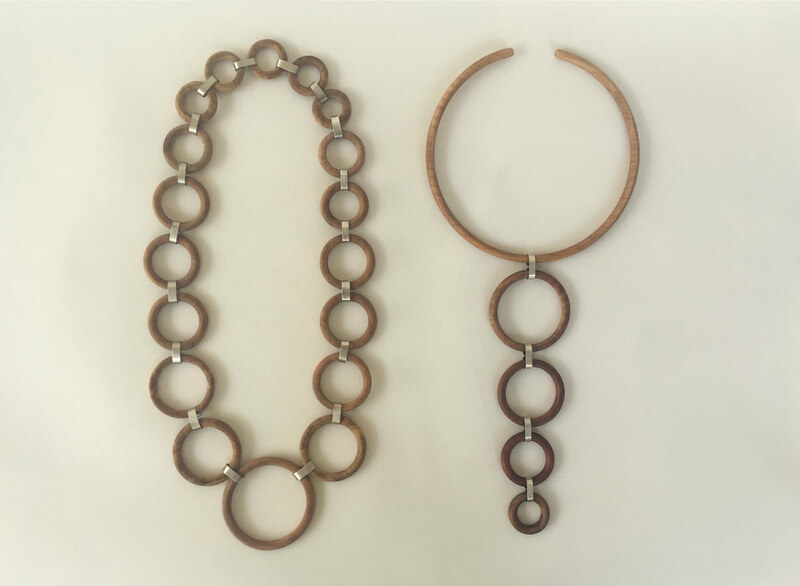 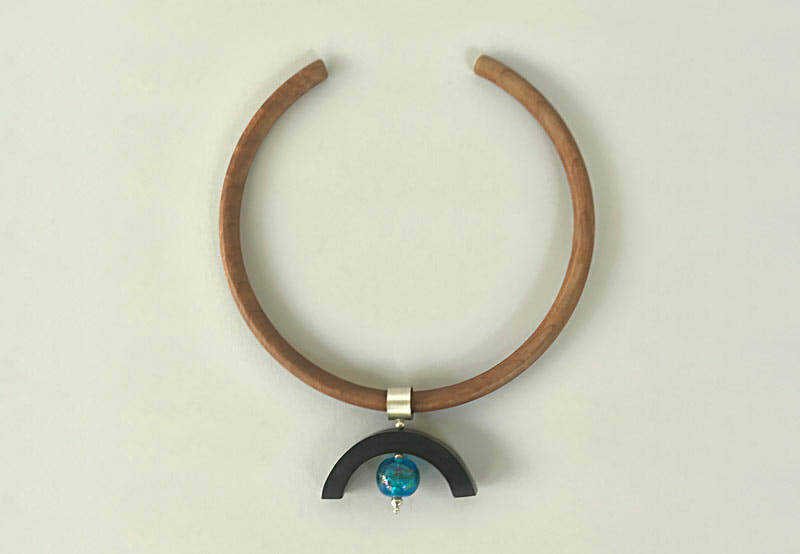 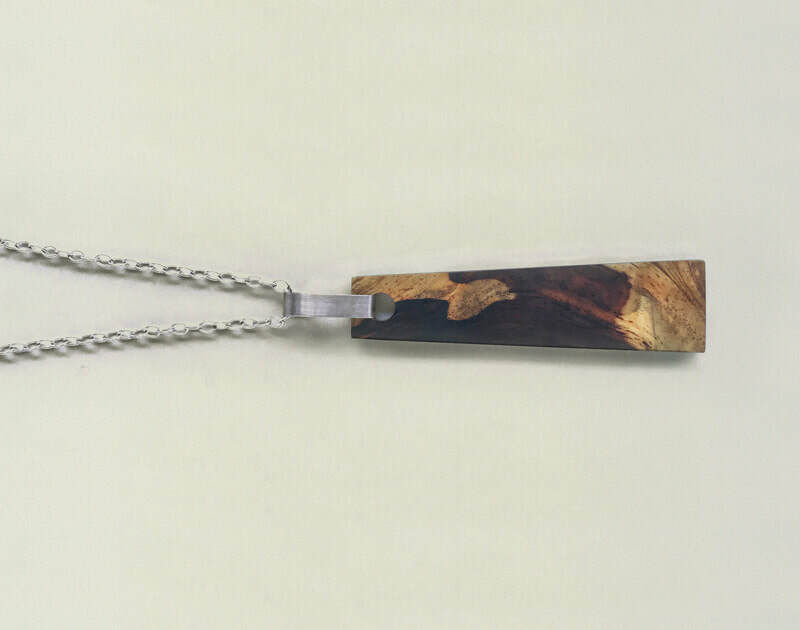 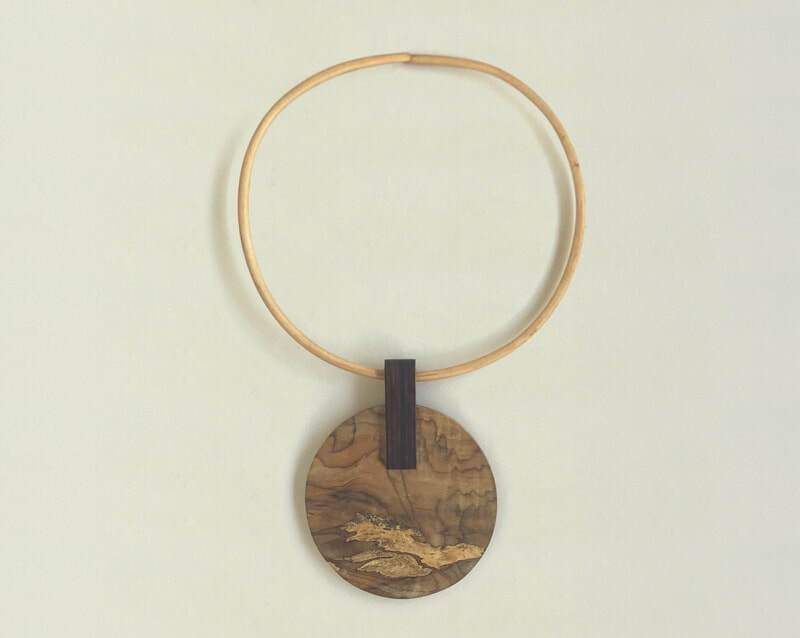 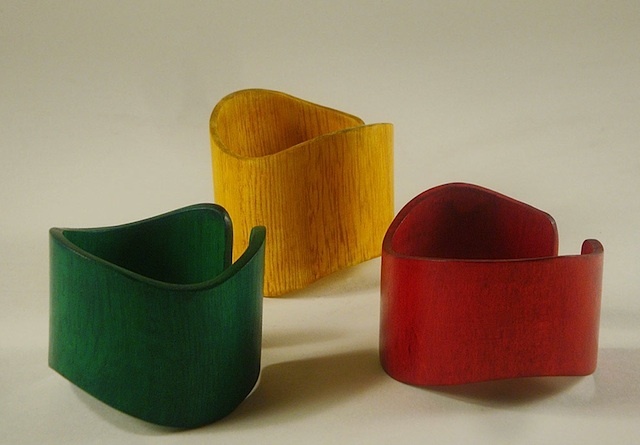 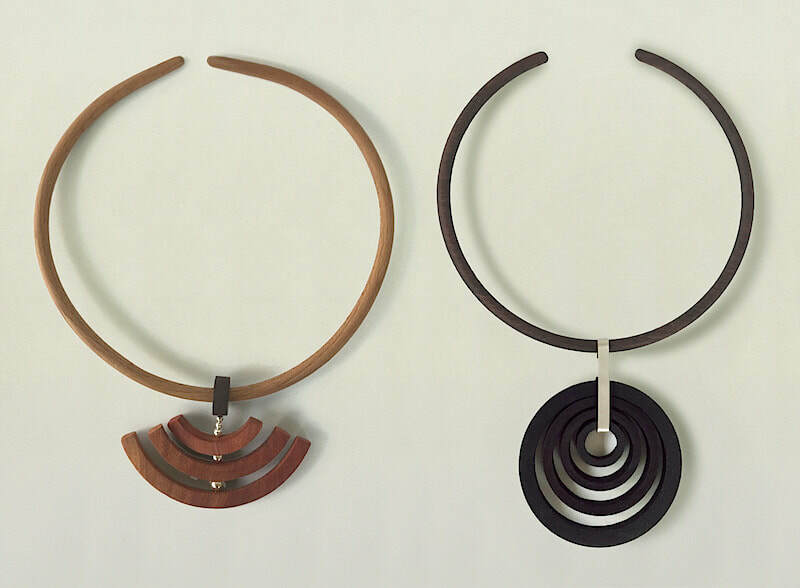 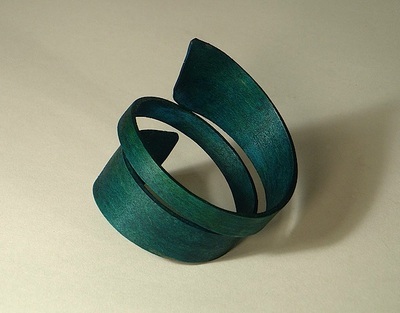 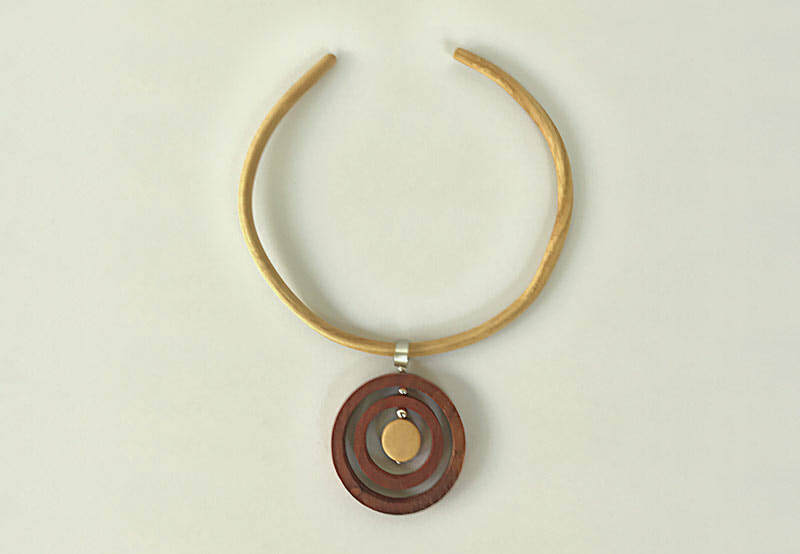 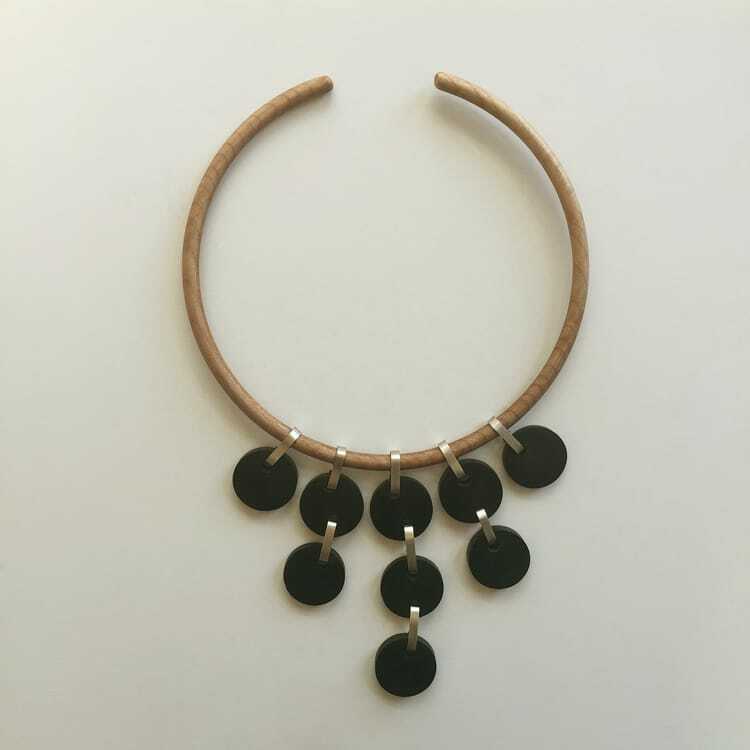 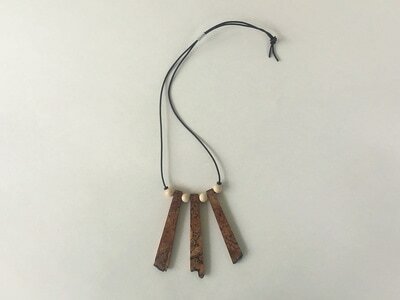 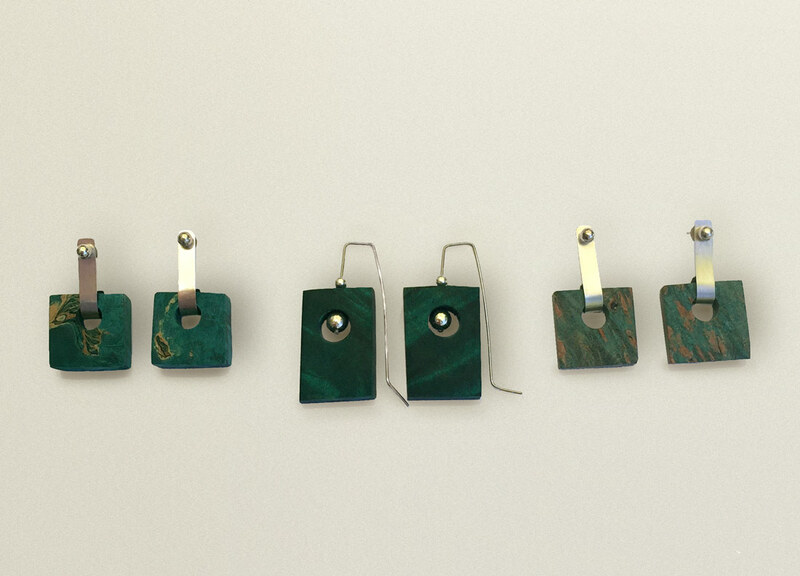 I use wood in pendants with wooden or silver collars, formed into beads, and shaped into bangles, cuffs and neckpieces of different sizes and shapes. 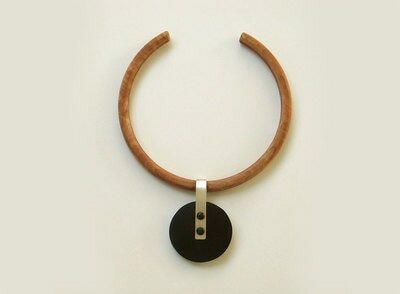 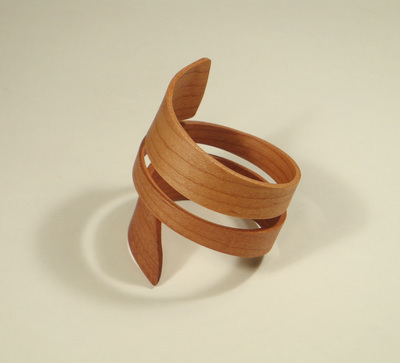 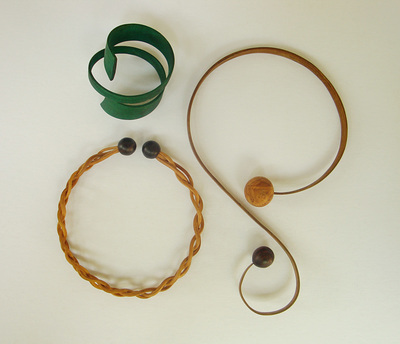 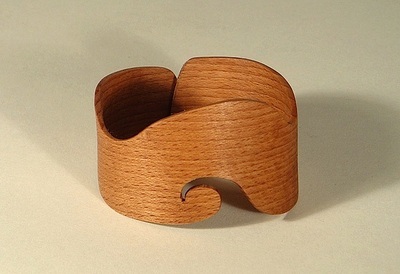 I also use compressed wood, which bends easily, to make twisted, braided or formed bracelets and necklaces. 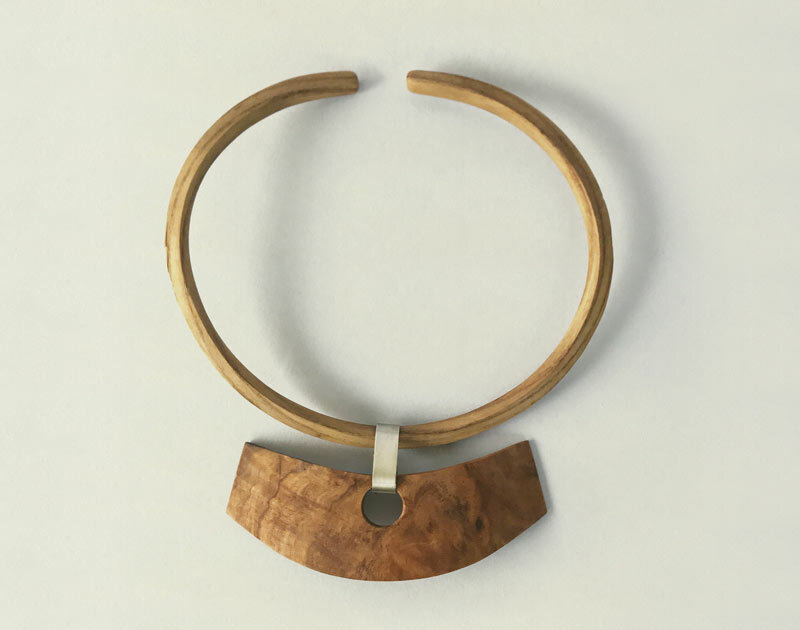 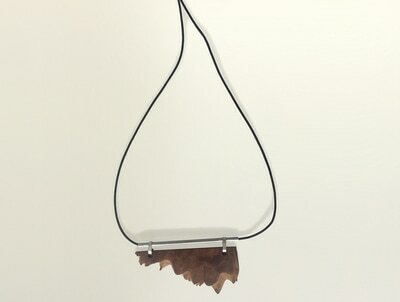 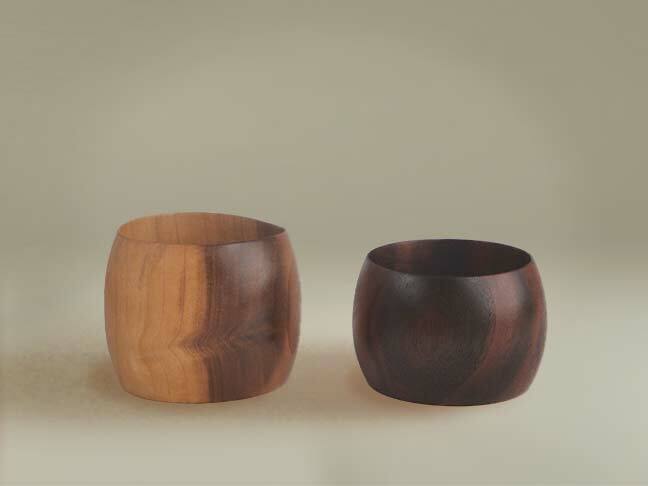 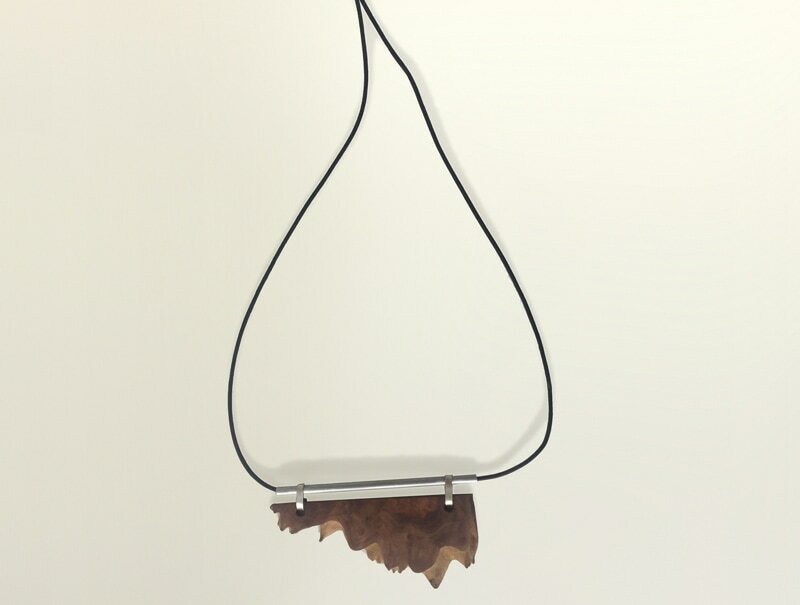 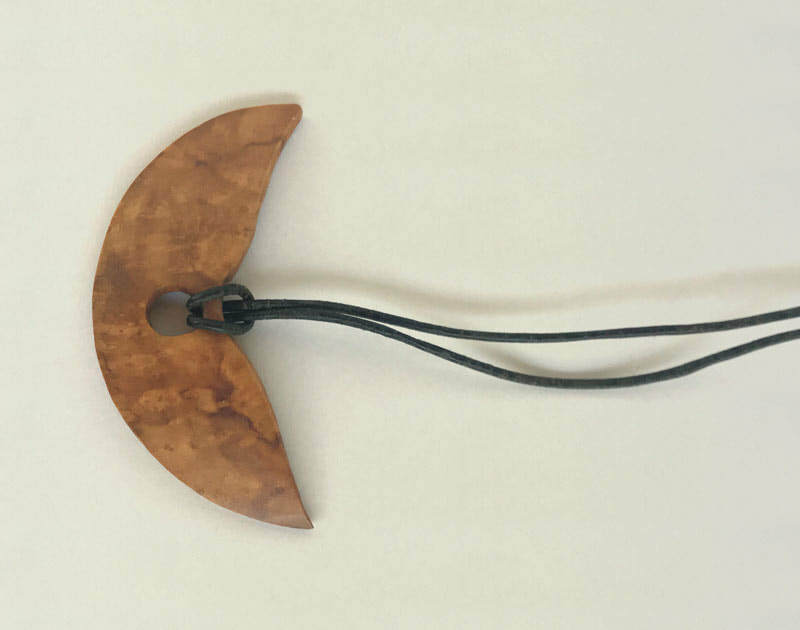 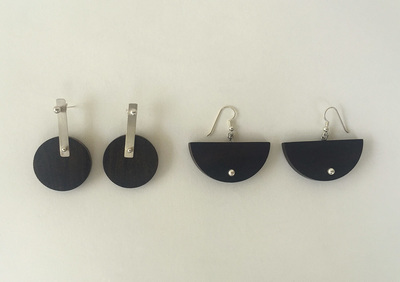 Wood also presents challenges in the design and construction of the pieces — they need to be strong enough to withstand everyday wear, and the connections of the separate parts must be an integral part of the design. 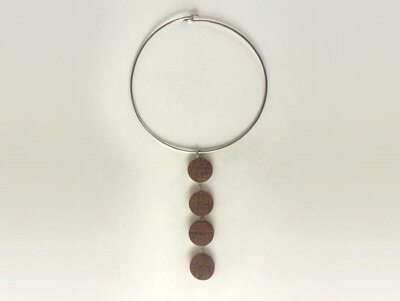 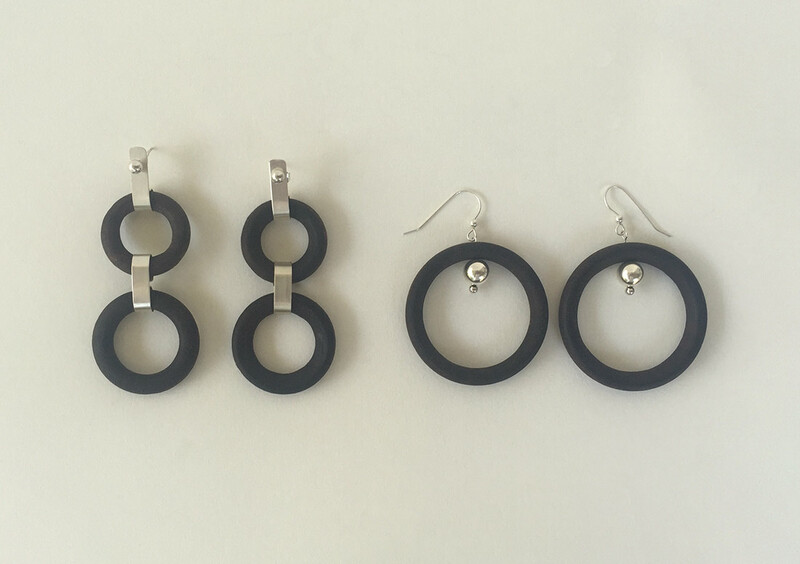 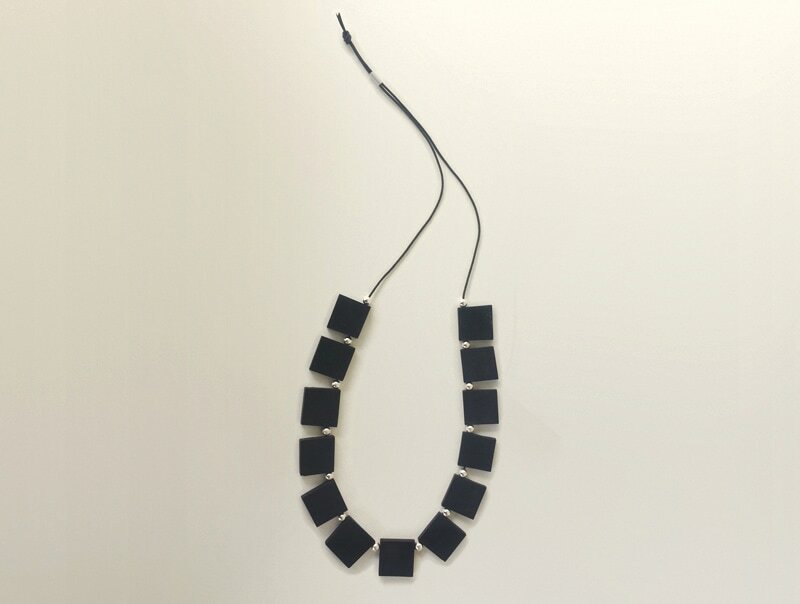 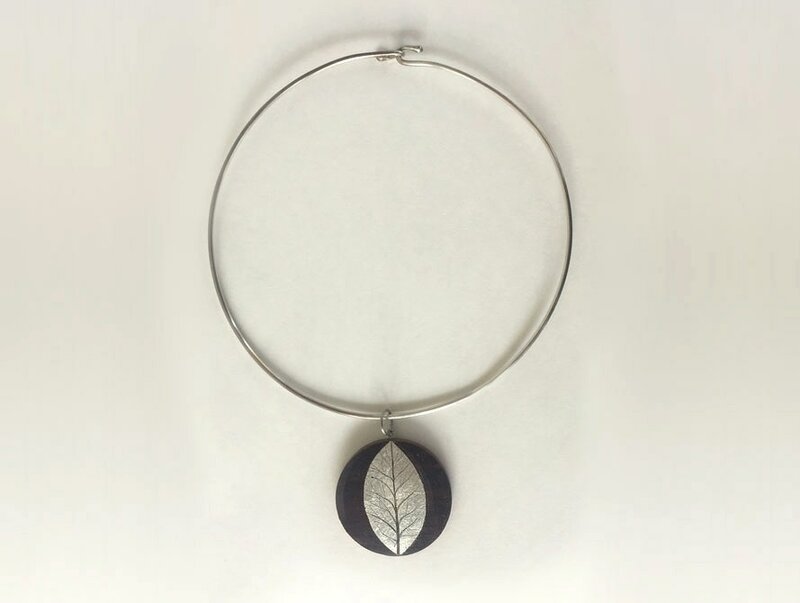 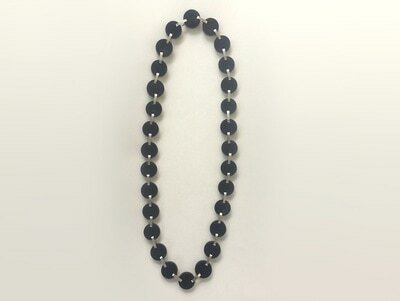 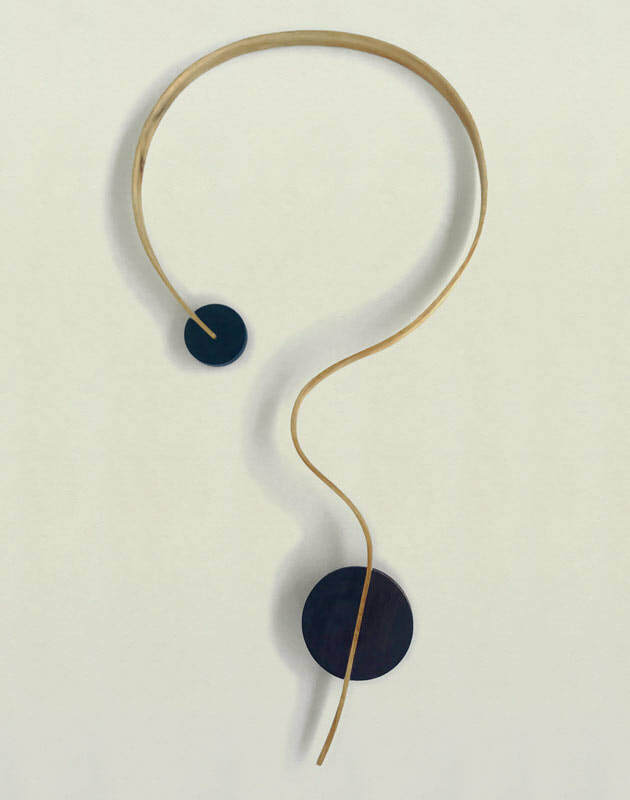 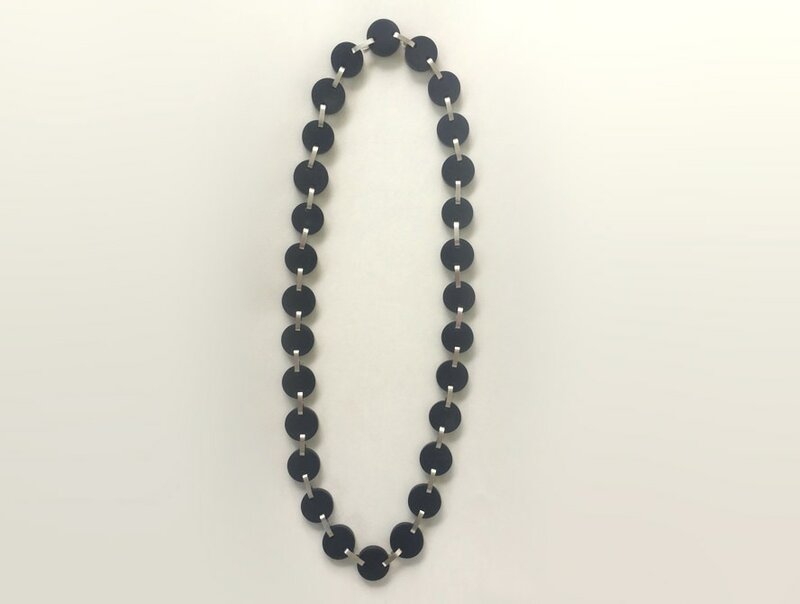 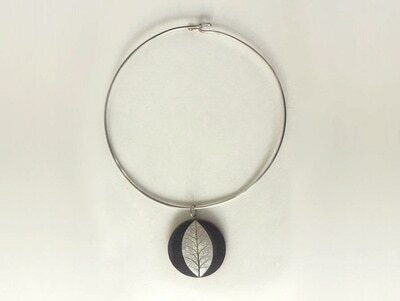 Neckpiece of ebony discs and sterling sliver links, approximately 18"